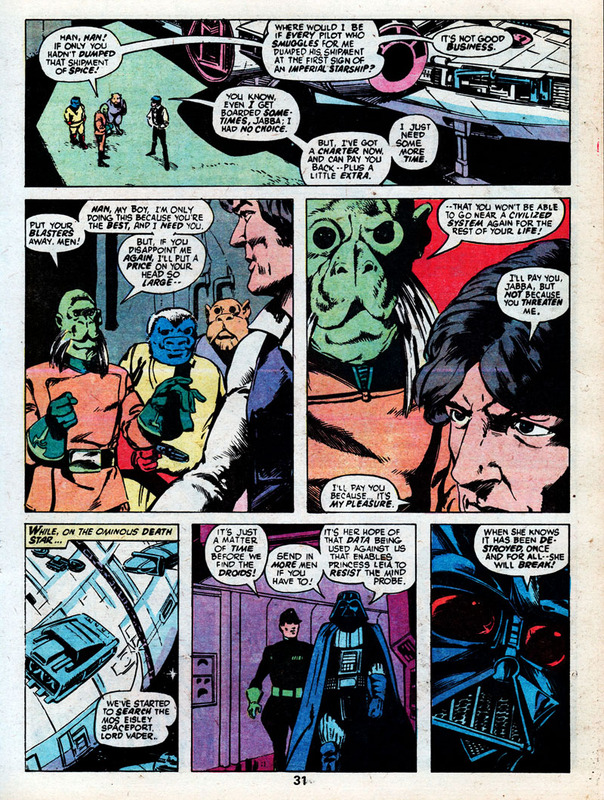 Marvel Special Edition: Star Wars (1977-78) | 'TAIN'T THE MEAT… IT'S THE HUMANITY! Last year I posted an article discussing my appreciation of Marvel Comics’ oversized reprint collections from the late 1970’s, Marvel Treasury Editions. 28 volumes were published between 1974 and 1981 reprinting stories featuring the publisher’s most popular superheroes. But they weren’t the only stories to receive the Treasury treatment. Marvel Special Editions followed the same format as the Treasury’s –they measured a generous 10 x 13.5 inches, were perfect bound, printed in full-colour and had thick cardboard covers. 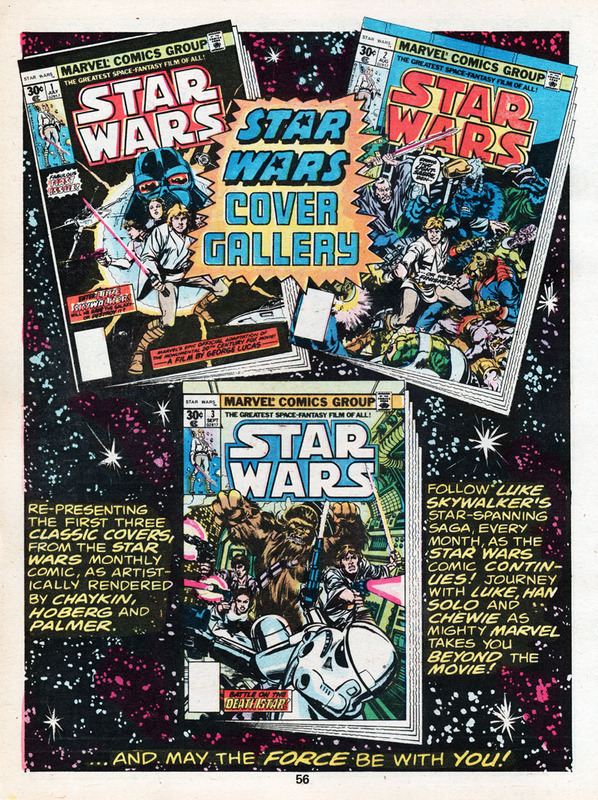 Over a dozen Special Editions were published between 1975 and 1983 and I’m going to take a closer look at some of them over the next few weeks, beginning with the three Star Wars editions published in 1977 and 1978. Marvel’s original six-issue adaption of the blockbuster movie was a huge bestseller for the publisher (the first issue went on to sell over a million issues) and helped reinvigorate a struggling Marvel whose sales had began to slip in the mid-Seventies. 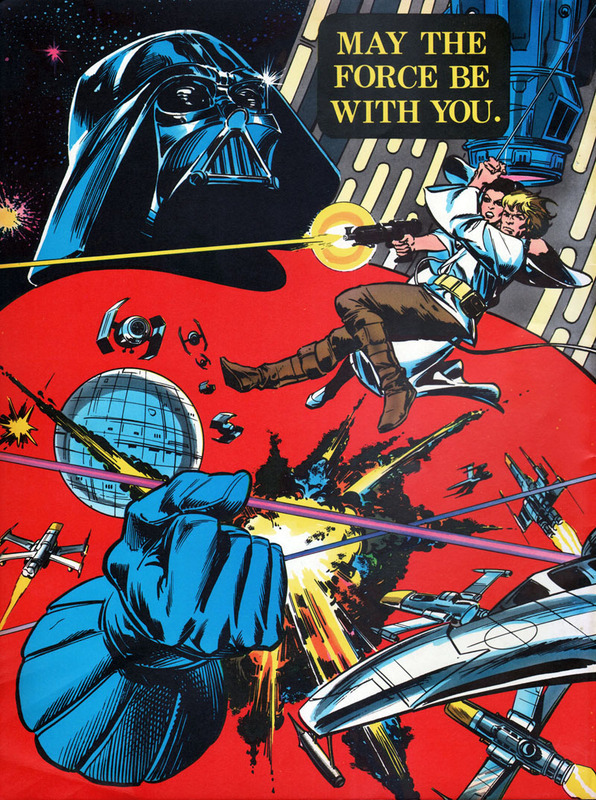 Written by former Marvel Editor-in-Chief Roy Thomas and drawn by Howard Chaykin (with assistance from Steve Leialoha, Rick Hoberg, Bill Wray and Dave Stevens) the six issue arc was a faithful adaption of George Lucas’s ground-breaking science fantasy film. But the first two issues also included a few extra scenes that fans of the movie wouldn’t have seen in the cinema. When Marvel agreed to adapt the film Lucasfilm insisted that the first two issues go on sale prior to the film’s release to help drum up interest in the movie. Thomas and Chaykin were not shown the film in advance and so had to create the first two issues using only stills, concept art and the film’s shooting script. 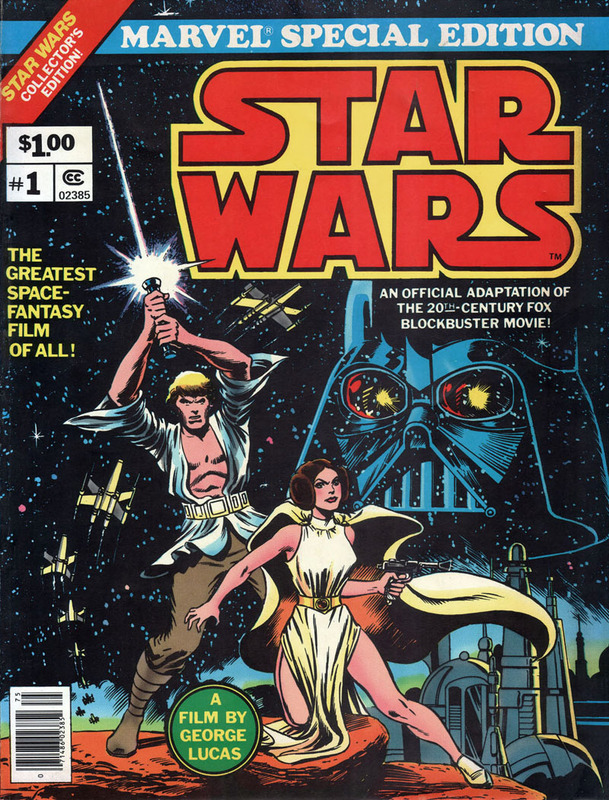 This meant that scenes that were eventually cut from the film’s initial theatrical release ended up in the comic: a meeting between Luke Skywalker and childhood friend Biggs on their home planet Tatooine; a conversation between the pair before the attack on the Death Star and a meeting between Han Solo and a more humanoid Jabba the Hut (fans would have to wait 20 years to see that scene reinstated into the film). 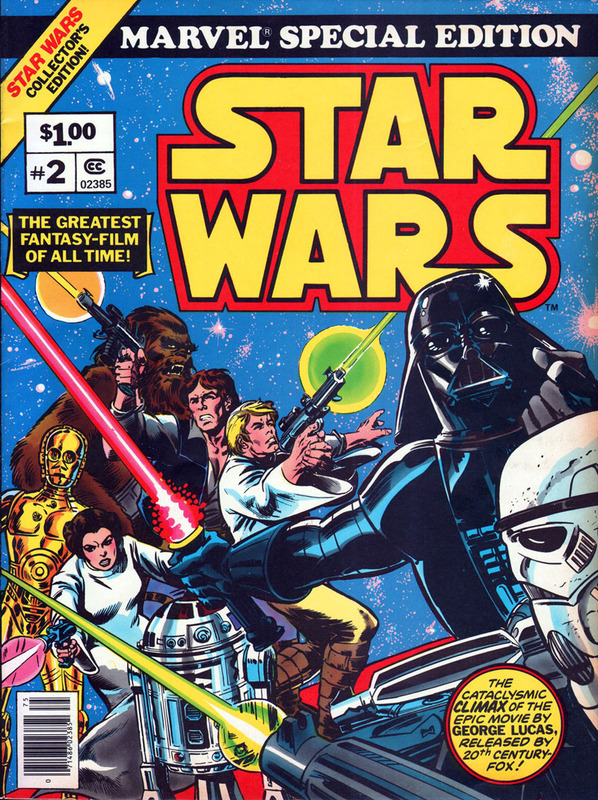 The original six-issue arc proved so popular that Marvel quickly reprinted the story in two reprint collections mimicking their established Treasury format and published them under the Marvel Special Edition banner in 1977. 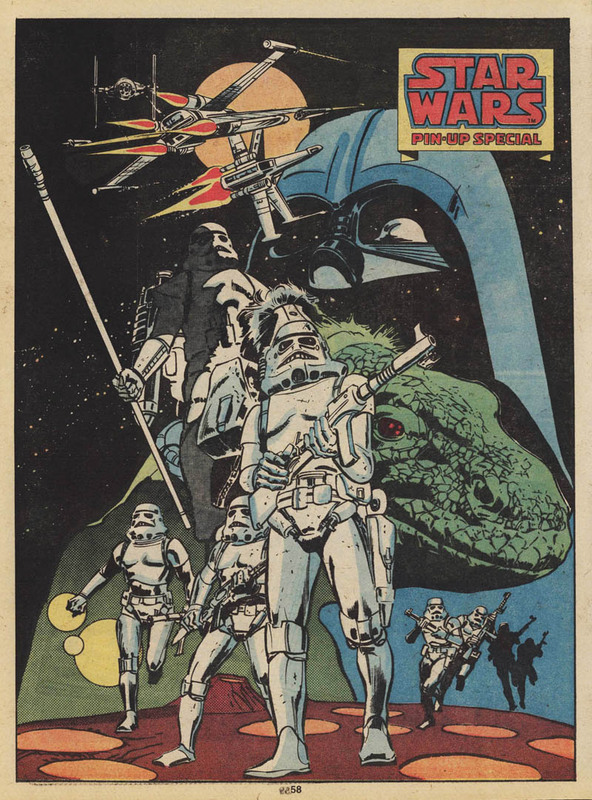 The first 60-page collection, which reprinted issues one, two and three, saw print in August 1977 while the second collection reprinted issues four through six that October. The following year a third Special Edition was released that reprinted the entire story in one 116 page volume. Apart from reprinting the comic adaption the first two collections also included photos from the film’s set, a cast list and a cover gallery of the original comics. 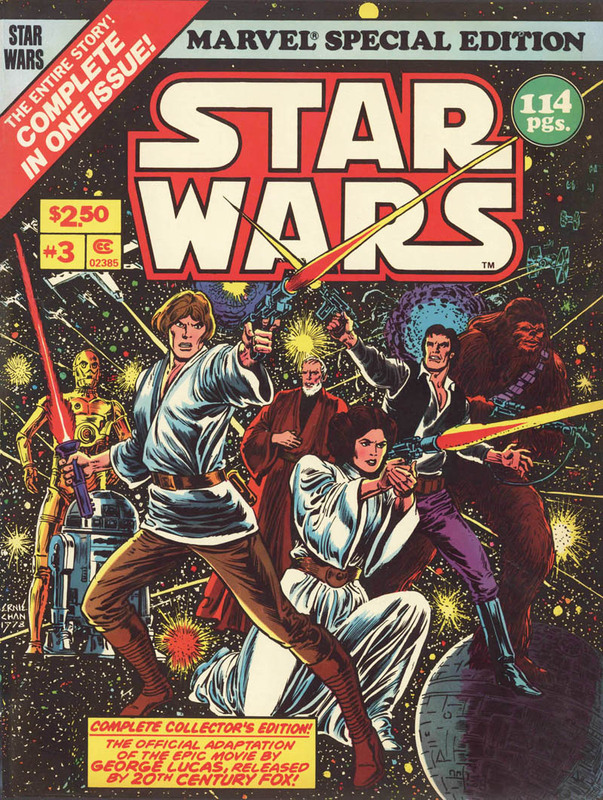 The single volume collection from 1978 featured many of the same elements and added four full-page pin-ups. 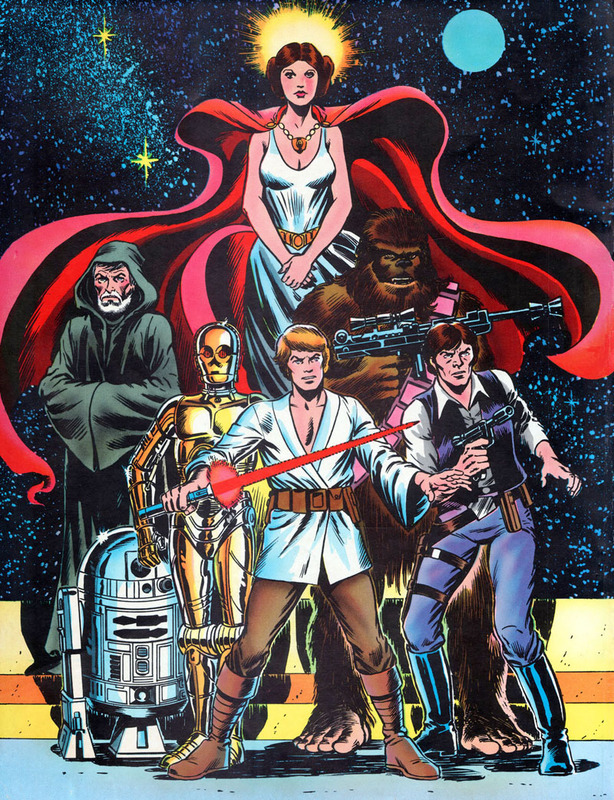 Marvel’s Star Wars adaption proved a great success with readers who just couldn’t get enough of their beloved Star Wars characters and the comic ran for almost a decade. 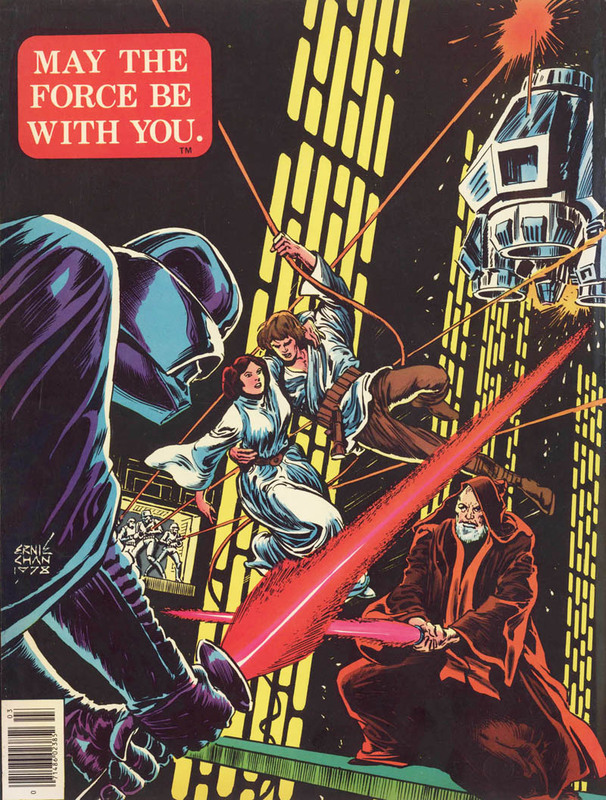 During its 107 issue run Marvel also adapted The Empire Strikes Back and Return of the Jedi, with only Empire receiving the Special Edition reprint treatment. In preparation for this article I re-read the first two Special Editions and they hold up remarkably well. 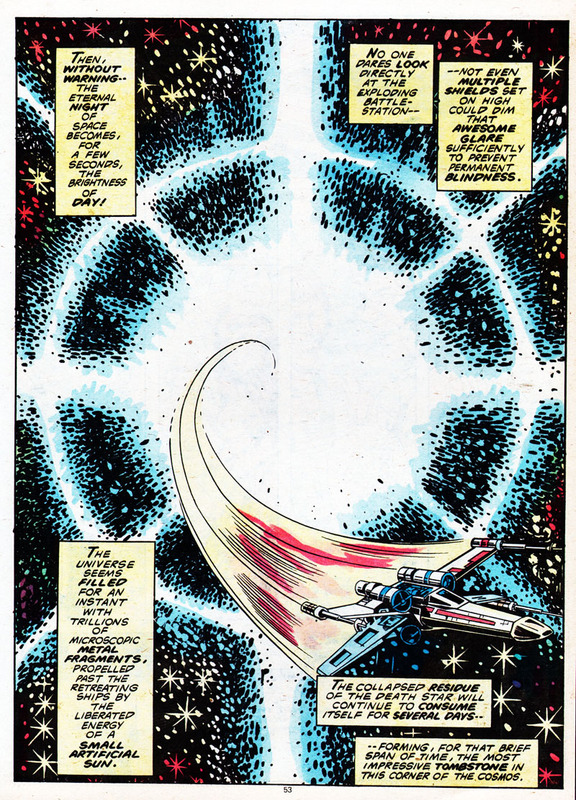 Thomas’s writing is faithful to the source material while Chaykin does a decent job pencilling the series (although he just can’t get Harrison Ford’s face right). I remember poring over these collections when I was kid (remember, this was years before home video) and I enjoyed them so much I even bought the single volume reprint in 1978, even though it featured the same content as the previous editions (I also loved the front cover artwork). Having the adaptions reprinted in the large Treasury format also added to the comic’s allure and although the movie adaption is is still in print (via Dark Horse) I wouldn’t part with these three Special Editions. Next: A closer look at The Spectacular Spider-Man Special Edition.